A Shropshire Tory MP said the Prime Minister must deliver her promise to deliver Britain's withdrawal from the European Union – even if it means a general election and a Labour government. 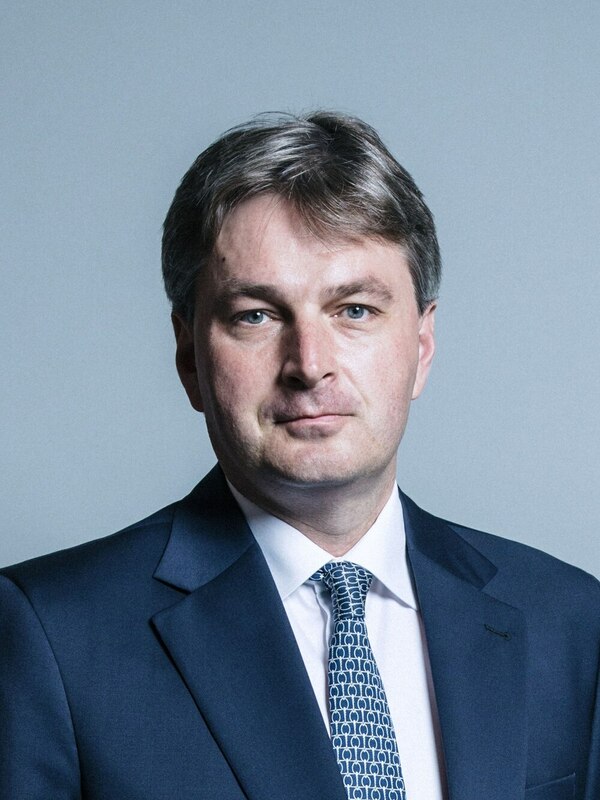 Daniel Kawczynski, MP for Shrewsbury and Atcham, said he now feared Brexit would not happen, and would lead to a catastrophic breakdown in people's confidence in democracy. He called for the Prime Minister to bring her withdrawal agreement before Parliament for a fourth time – this time tied to a motion of confidence in the Government. Former prime minister Sir John Major used a similar tactic to quell a rebellion against the Maastricht Treaty in 1992 – which led to the formation of the European Union in its present form. Mr Kawczynski admitted such a ploy would be a high-risk strategy, but said the consequences of not honouring the result of the referendum would be even worse. "If that means the Government is brought down, and a general election is called, then so be it," he said. "I don't want to see a Labour government, but if we don't honour the result of the referendum I think the results could be catastrophic." Mr Kawczynski had previously voted against Mrs May's deal, citing reservations about the Northern Ireland 'backstop' provisions – but he said the time had now come for compromise to ensure that Brexit actually took place. "We really need to get this agreement over the line, so we can then, under a new leader, get on with the much more important negotiations over Britain's future relationship with the European Union," he said. Mr Kawczynski said people also had to recognise that no party commanded an overall majority in the Commons, making it very difficult to get any deal through the Commons. But he said Britain's failure to leave the EU on March 29, and the possibility of Brexit being put back until the end of October, had become a national embarrassment, and was creating needless uncertainty. He said he was staying in London during the Parliamentary recess, taking part in talks with the Democratic Unionist Party and European Research Group (ERG), in an attempt to help break the deadlock. Mr Kawczynski quit the ERG last week, saying its refusal to back Mrs May's withdrawal agreement was putting Brexit at risk. He said while he too shared many of their reservations, the realistic alternatives to the deal were looking very much worse. He voiced concerns in particular about Mrs May's talks with Labour leader Jeremy Corbyn, who was demanding a full customs union and a second referendum as a price for supporting her agreement. "I think that would be a disaster, I don't think the fifth largest economy in the world should have its trade policy determined by an overseas body, in which we have no say," he said. Mr Kawczynski said it was important that Britain had the ability to trade more freely with growing markets across the world. He said if Britain could lower tariffs on food from developing countries, it would mean lower prices in Britain, and would also reduce the need to spend so much on foreign aid. He added that another referendum would be hugely divisive for the country, particularly if the result was as close as it was in 2016. "You will then have whoever loses the second referendum calling for a third one," he said. But he also said that the longer the impasse went on, the more likely such a vote would be. He said while the withdrawal agreement was flawed, most eurosceptics would probably have accepted it before the referendum. "If Mr Cameron, when he was negotiating his deal before the referendum, said 'I'm going to take back control of our money, no more handing over £12 billion a year, I'm going to take control of our borders, with no more freedom of movement, and make sure our Supreme Court is supreme', I think people would have snapped his hand off," he says. "Going out and speaking to people around Shrewsbury, I would say those are the main things that people wanted. I know people voted for a lot of different reasons, but I think those three things were the main ones." Mr Kawczynski said the time had come for pragmatism, saying the chances of getting the backstop removed from the withdrawal agreement were close to zero. He said the efforts Britain took to liberate the Falkland Islands in 1982 showed the country would never abandon Northern Ireland. "The media says that if you compromise it is a U-turn, which is viewed as being very derogatory, that is a sign of weakness," he said. "But sometimes making a compromise, admitting that you have changed your mind because it is the right thing to do, should be seen as a sign of strength." Will ban on pheasant shooting harm the countryside?